Is travel the next big wave? Predictions aside I’d like relate travel to entrepreneurship. Both are liberating, both give you that sense of freedom. 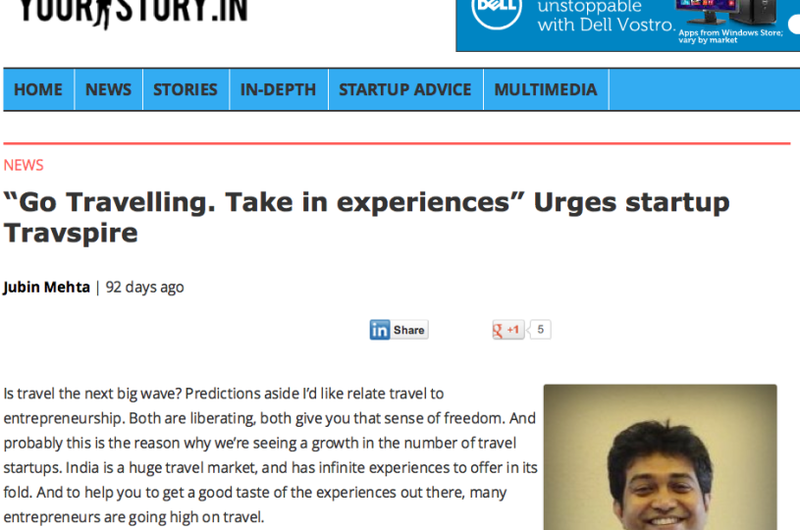 And probably this is the reason why we’re seeing a growth in the number of travel startups. India is a huge travel market, and has infinite experiences to offer in its fold. And to help you to get a good taste of the experiences out there, many entrepreneurs are going high on travel. Founded by three travel enthusiats, Travspire is travel site that offers memorable travel experiences within India. From camping in the forests of Periyar led by rehabilitated poachers to Kerala home cooking, there is a variety for travellers to choose from on Travspire.